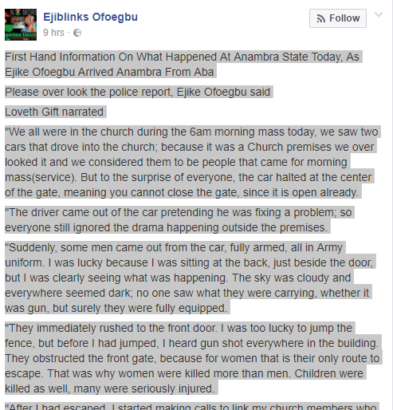 An eye witness report on the Ozubulu massacre which happened yesterday in Anambra State has gone viral. According to Ejike Ofoebu who posted to report to Facebook, , a lady Loveth Gift gave him first hand information of what transpired yesterday at St Philips Catholic church, Ozubulu. 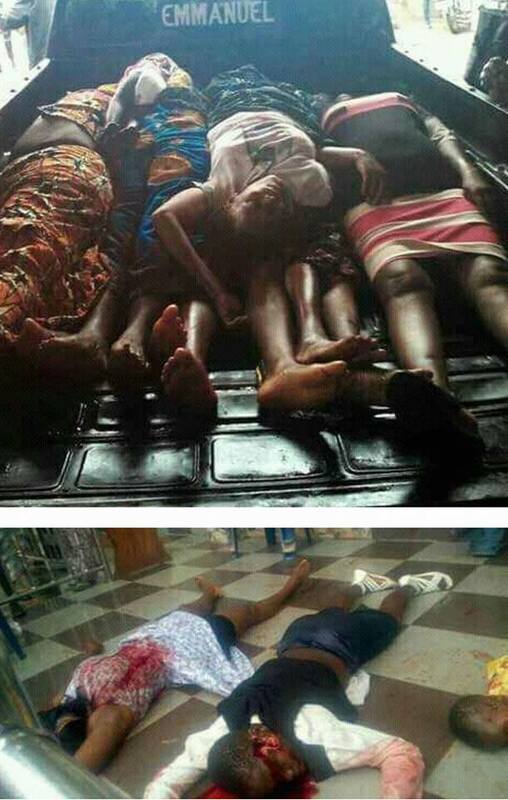 Yesterday, gunmen had stormed the church in army uniforms shooting sporadically at worshippers. At least 11 people have been reported dead from the massacre. gun, but surely they were fully equipped. gate, because for women that is their only route to escape. were killed as well, many were seriously injured. up; not knowing they were dead already. those that were killed, are they their target. trigger, and shooting at anything that moves. "Not too long after they had gone, I went back to the church. I was shocked with what I saw; my Mother was lying dead! was shot in the leg. everywhere - even at my face."